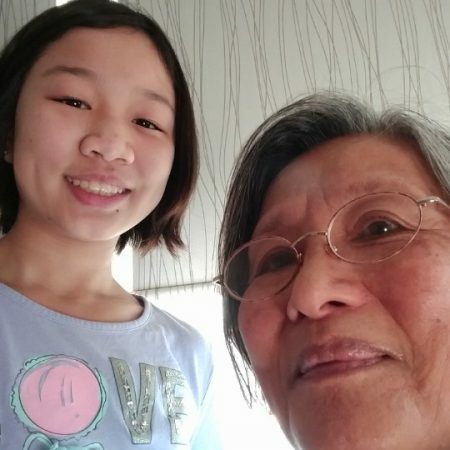 In this interview, I(13) am interviewing Esther Ang(77), my grandma on November 23, 2018. We are talking about her mother, and her accomplishments in her life before she died at the age of 101. Esther shares stories of how her mother's arranged marriage, and the miracle of how she was picked for her spouse. Esther also talks about her mom's relationship with her grandmother and her siblings, and her amazing ability to learn and immerse in new cultures. At the end of the discussion me and my grandma take time to appreciate her mother, and to admire her achievements during her lifetime.